My dad has been gone for four years come May, and this is my dad’s fraternal twin. He just turned 90. He’s flying in today from Arkansas. The “twins” grew up in Elmhurst, Illinois, and later, Chicago. 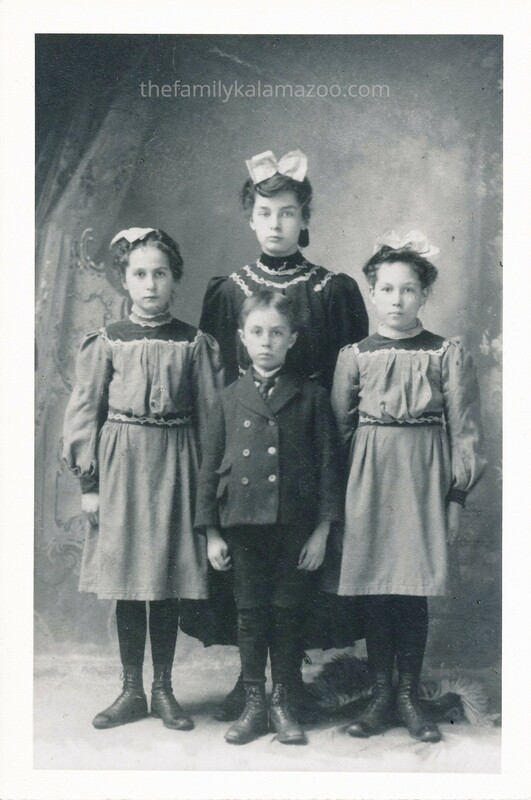 I think this photo, taken with their older sister Marge, is in Elmhurst. I’ll be back when Uncle Frank’s visit is over. In the meantime, I hope your 2019 is off to a good start! Comments are closed, but if you want to reach me, email me through the contact info on the blog or comment on a different post, please. Well, I wanted to close them, but the button is gone. I might not respond if you do comment. I’m sorry! 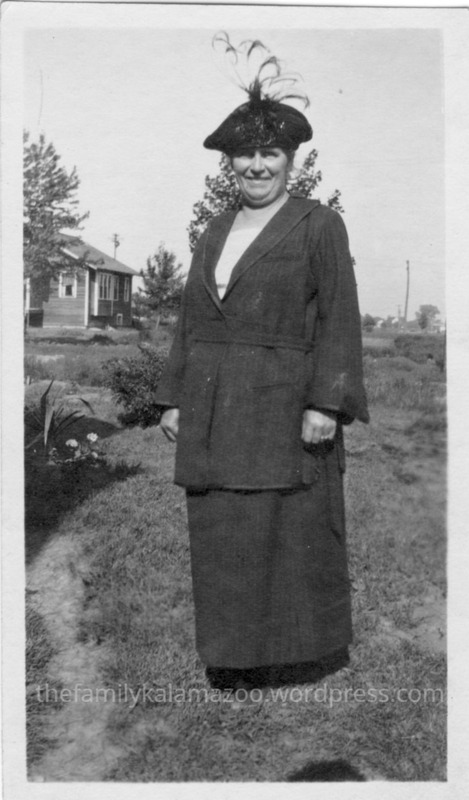 My great-grandmother, Margarethe Wendel Klein, born in 1869 in Budesheim, Hessen, Germany. 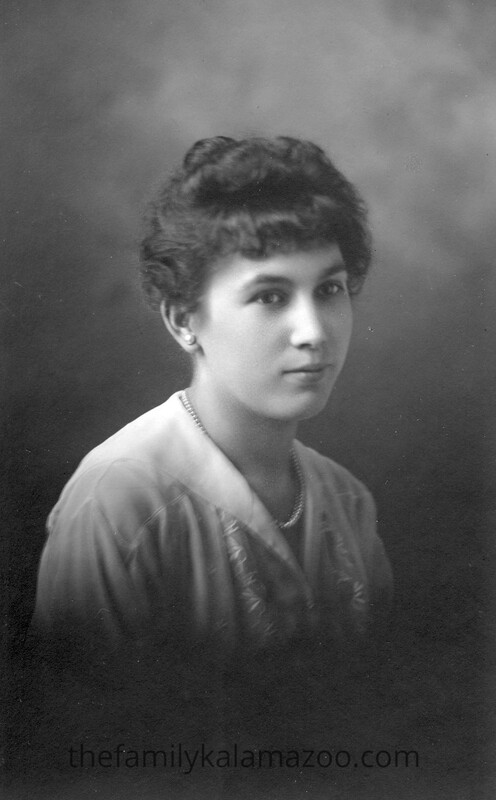 She died in 1932 in Elmhurst, Illinois. Is there a name for this sort of hat? Would you call this a suit? I’m not sure about the year, but I guess it to be in the 1920s. I am going to take a little blogging break to recharge the brain batteries. Do You Know Anything About Antique Cars? I am not a car expert by any means. I hope I never have to identify a getaway car, for instance. I can give a description of details, but I can’t identify the make or year of a vehicle. My husband can. I am amazed sometimes at how he can tell me a year of a car when it sees it way down the street. But I am not asking him the questions I have because the answers lie in the early history of the American automobile–and I doubt he knows much about those first cars. So I ask you: is this first one a Model T car? Or is it something else? And what year might it be? 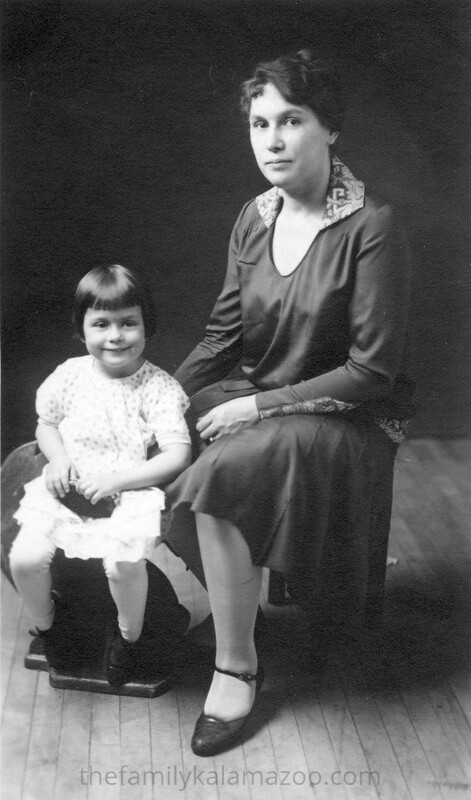 Sometime in the 20s, I believe. 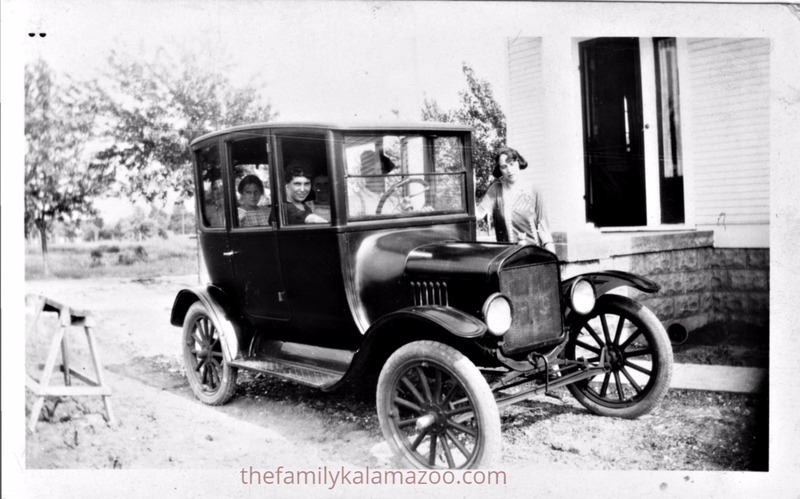 The car is driven by my great-grandfather, Frank Klein. That’s my grandmother sitting shotgun. 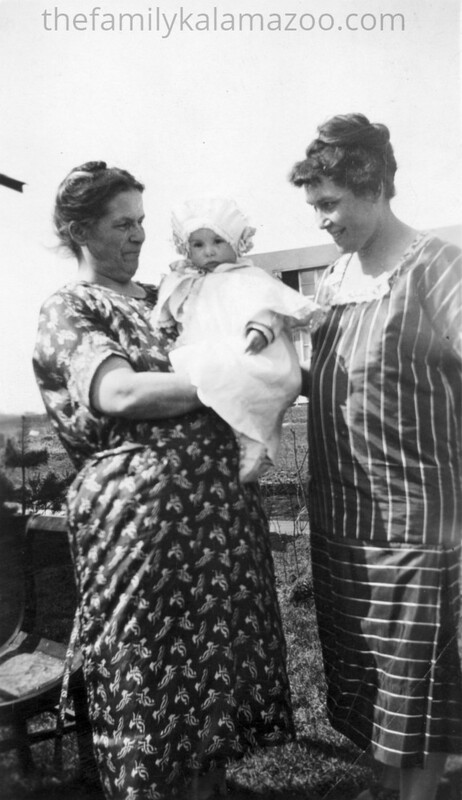 In the back is her sister Helen and her mother, my great-grandmother. Their house in Elmhurst, Illinois, is behind the car. That looks like a sawhorse on the left. I wonder what is underneath and why it’s there. Here’s a photo of what I think is a different car. Notice the different roof, headlamps, etc. Do they both have the same double windshield? I can’t figure out the background/setting at all. I love these “motoring” outfits. What kind of car is this? 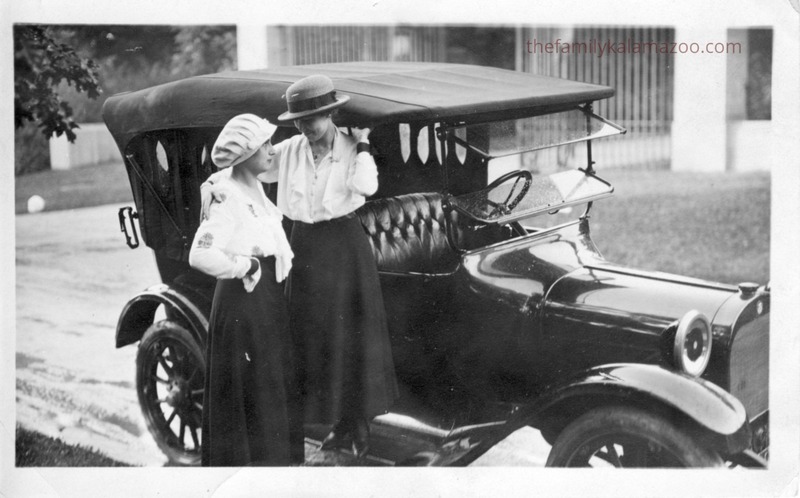 Do you have old photos with cars in them? How did you determine what kind of car?